RARE II – at FCMoD from May 6 to August 6 – is an exhibit of contemporary botanical illustrations depicting globally imperiled plants found in Colorado. Members of the Rocky Mountain Society of Botanical Artists created these works of art using the Master List of Rare Plants (produced by the Colorado Natural Heritage Program). I hope you have a chance to see this rare combination of scientific accuracy, aesthetic appeal, and technical mastery. 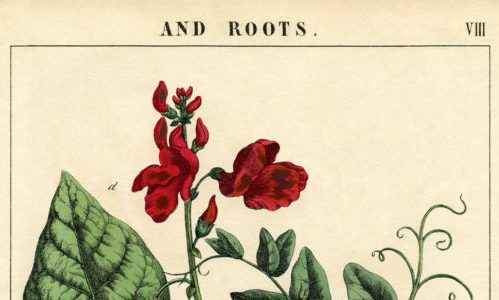 Which brings me to my subject today: a glimpse at the role botanical illustration played in the early history of science. Surgeons traveling with the Roman army – including Greeks Dioscorides (circa 40-90 AD) and Galen (131-200 AD) – compiled herbals (text + drawings) that remained the primary materia medica texts for centuries (by some accounts, at least 1500 years). Herbalism traditions were preserved through the middle ages in the monasteries of Britain and Europe, where monks copied and translated works of Hippocrates, Dioscorides, Galen, and non-Western scientists like Ibn Sina (aka Avicenna). The advent of the printing press in the mid-fifteenth century created unprecedented access to mass-produced books, some of which included botanical illustration. (Details in this paragraph drawn from the University of Virginia’s Claude Moore Health Sciences Library, exhibits.hsl.virginia.edu/herbs/brief-history/ ). So, Printing press + Woodcut illustrations (later lithographs) = Beautiful botanical books of both scientific and aesthetic value. 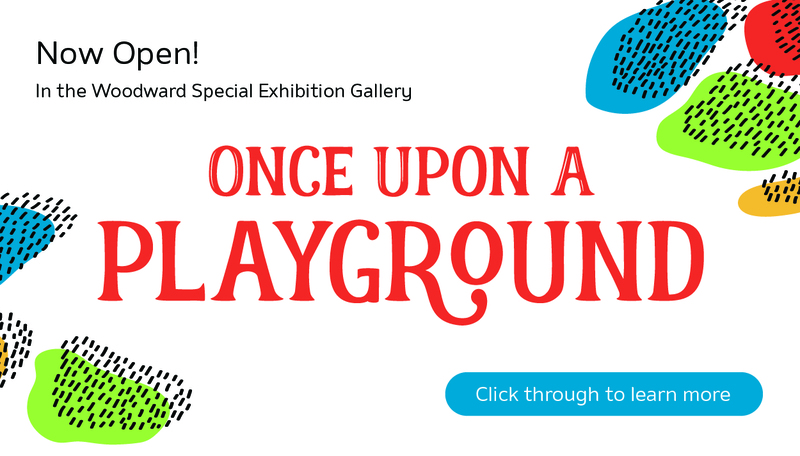 And enjoy the Rare II exhibit! Hobbies/Interests: I love to knit and read! Hometown: I grew up on trains, so I lived everywhere! 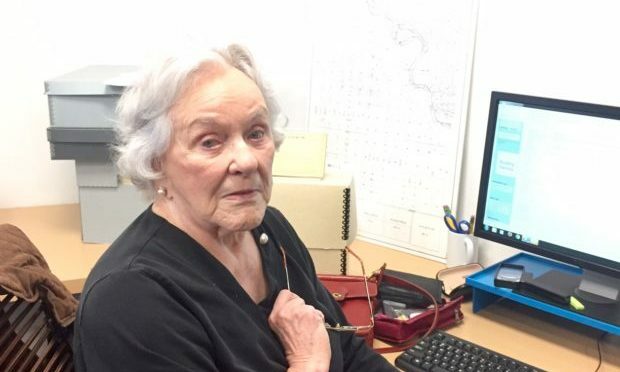 Favorite book: I can’t think of a favorite book, but my favorite author is PD James. She’s a mystery writer. Favorite vacation memory: There was this really neat pool in California. It was huge, and it had slides! There was also a creek through town, but it was ice runoff. I jumped in, and it was like an ice cube! One thing you want people to know about you: I have survived for many years! Favorite thing about volunteering at FCMoD: I love the people here! The personnel are very helpful and knowledgeable. Archive Fun: Great Pranks Edition! Today, a 1965 CSU alumnus stopped by the Archive to dig up an article from his college days. 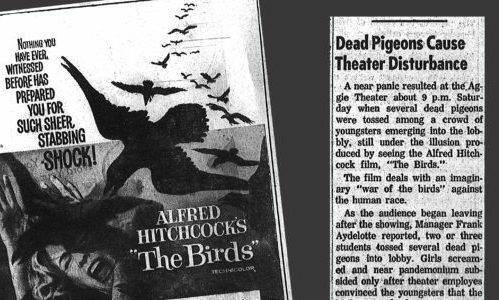 On April 21st, 1963, five members of the Sigma Phi Epsilon fraternity decided to go to a showing of the new Hitchcock film, “The Birds,” with a little something up their sleeves. It seems these boys pulled off quite the coo…er, um, coup.